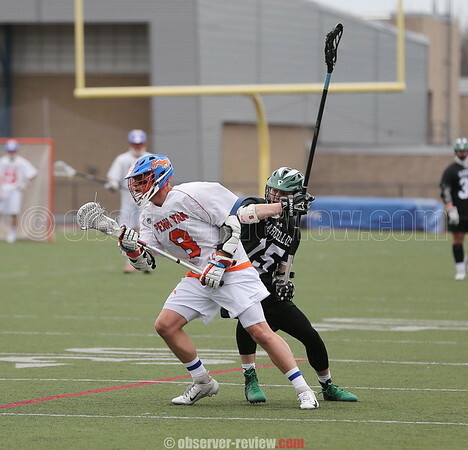 PENN YAN--The Mustangs' boys varsity lacrosse team lost to Marcellus in overtime, 4-3, Saturday, March 30. Penn Yan held a 2-1 lead at halftime. In the second half, Marcellus flipped the scoring-earning two points to Penn Yan's one-for a 3-3 tie. Marcellus then scored in overtime to win. Mekhi Mahan, Chase Blumbergs, and Colton Smith each scored once. Ayden Mowry assisted twice. In the goal, Jeff Kinyoun earned 14 saves. Penn Yan's varsity baseball team topped East Rochester at Finger Lakes Community College, Saturday, March 30. The final score was 4-3. The East Rochester Bombers took an initial lead, but the Mustangs tied the score at 2-2 in the third inning. East Rochester scored a run in the fifth inning, but Penn Yan would ultimately win the game with two runs in the seventh. BINGHAMTON--The Watkins Glen varsity lacrosse team fell to Seton Catholic, 8-5, Friday, March 29. Avery Watson and Seamus Mooney each had two goals for the Senecas. Joe Chedzoy scored the final one. Connor Novinsky had 16 saves in goal. "We were our own opponent this afternoon," said Coach Nils Watson. "We could not hold the ball. Missed passes, dropped balls, and poor ground ball work hurt us more than the other team." The Senecas lost to Mynderse, Wednesday, March 27. The final score was 17-5. Chedzoy led with four goals, Watson scored one. Novinsky earned nine saves in the goal. Chedzoy also won 14 faceoffs, Nate VanAmburg had three face-off wins. The Senecas' varsity tennis team beat Lansing, 4-2, in the team's opening season match, Tuesday, March 26. Nathaniel Wickham topped Julian Tornusciolo, 0-6, 6-0, 7-5. Dylan Morse defeated Kyle Romeo, 6-4, 7-5. Clint Craven won against Ethan Yu, 6-0, 6-3. In doubles, Kathleen Clifford and Enkang Lin beat Gillean Richardson and Maria Robinson, 3-6, 6-4, 6-2. The losing matches were: Jill Cantieni and Hannah Morse, 6-4, 6-3; and Jonathan Hatch and Alexandria LaMoreaux, 6-2, 6-3. Watkins' varsity softball team fell to Waverly, Friday, March 29. The final score was 15-0 and only lasted five innings. ODESSA--The Odessa-Montour varsity tennis team opened the season with a 6-1 loss to Thomas A. Edison, Tuesday, March 26. The Indians' Sara Gardner defeated Ben Doland, 6-4, 6-2, for the team's one win. The other singles scores were: Dylan Von Neida, 6-2, 6-1; Rhys Stermer, 6-2, 7-5; and Cheianne Webster, 6-0, 6-0. In doubles, Shania Austin and Brooke Sikora lost, 7-5, 6-1. Jacy Knapp and Kaylea Simmons fell, 6-3, 6-2. Malia Mertens and Dana Zimmers were beaten, 6-4, 6-2.